Why die for Stalin? 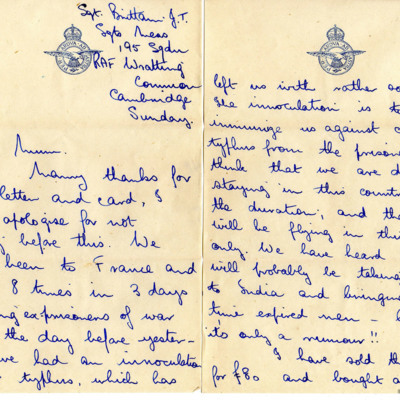 Why die for the Jews? 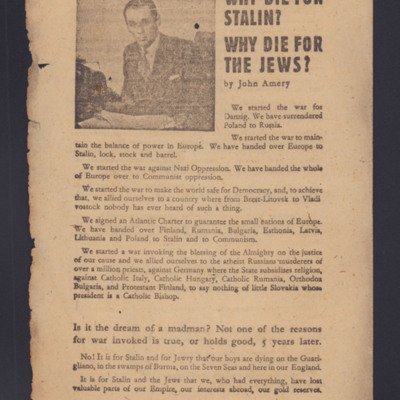 Propaganda leaflet by British fascist John Amery aimed at the British and arguing that the sacrifices of the Allies have served only the interests of 'Stalin and the Jews'.